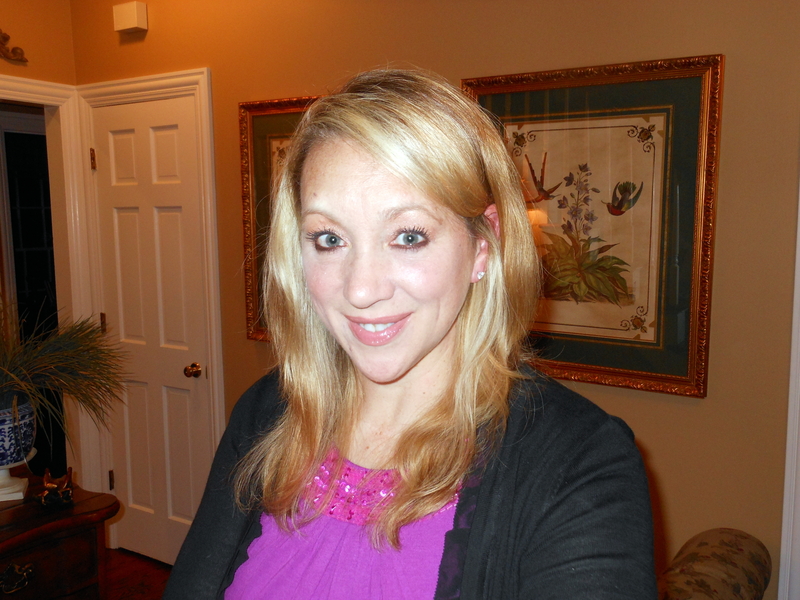 As the More is More Mom®, I’m all about…..more moments with Wrigley! Nine years ago, Chuck and I decided that our little family of four was not quite complete. Some people might have considered another baby as a welcome addition, but the minute we locked eyes with Wrigley, we fell head over heels in love. Okay, that’s not exactly true. I cried every day for the first 6 months. He was a total nightmare! Even now, after nine years, this guy is still full of vim and vigor. If his grey snout didn’t give him away, he could easily be mistaken for a two year old puppy! Despite the destruction he continues to leave in his wake, we adore Wrigley. 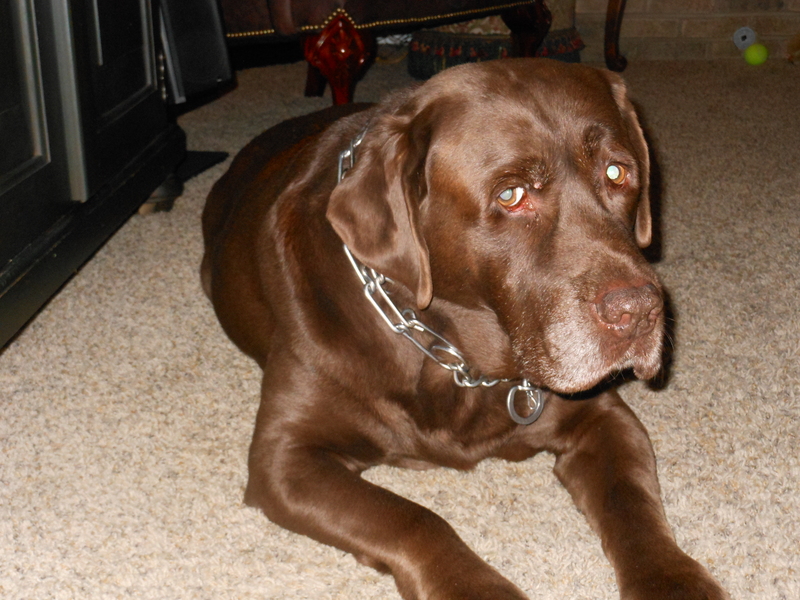 He is the very best, worst dog ever! 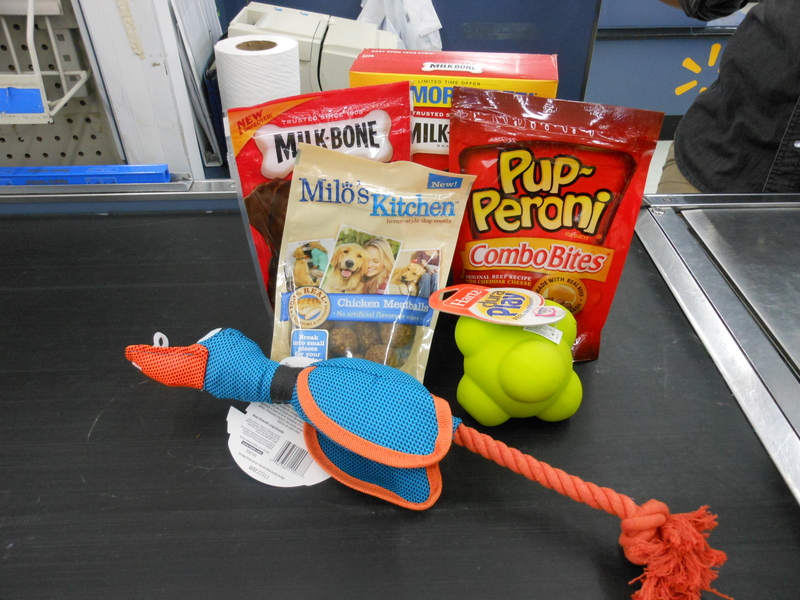 Earlier this week I headed over to Walmart to pick up some items to make him a little Doggie Gift Basket for his birthday. I filled my cart with Milk-Bone®, Pup-Peroni® and Milo’s Kitchen® treats and indestructible toys (though Wrigley’s never met a toy he didn’t try to dissect). Wrigley had a great birthday. I bundled up and we started our day with a run. I mean, really, how many 9 year old dogs are still good for 4 miles? He was happy as a clam as we let him out and let him in, let him out and let him in. Amanda, Wrigley and I lounged around in the basement and watched a movie, where Wrigley got super comfortable and had a great nap. However, the best part of the night was when he received his treats from Walmart. 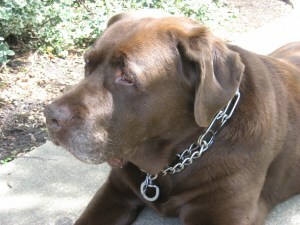 I filled a basket with his Milk-Bone®, Pup-Peroni® and Milo’s Kitchen® treats and the tough-enough-for-Wrigley toys. He was so excited when I placed the gift basket on the floor and let him have at it. He hardly knew what to grab first! In the end, he decided on the squeaky duck. 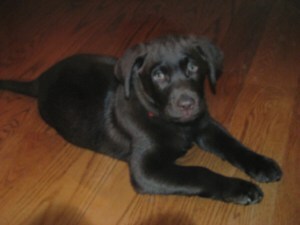 Unlike his siblings, there was no way Wrigley was going to actually sit still for a picture! 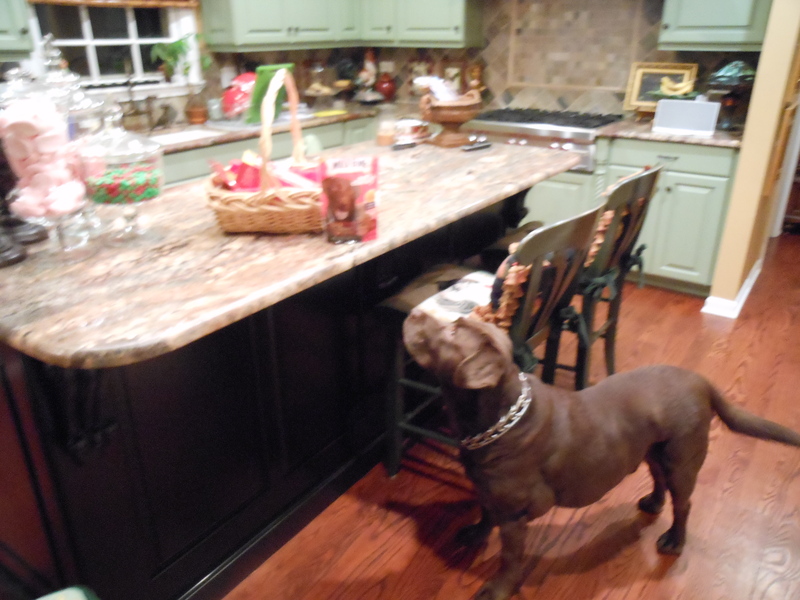 In fact, once he started to attempt to tear open the bags of treats for himself, I had to put them up on the counter. He would have eaten every last one! He always sits like a good boy for a treat. Wrigley had a fantastic birthday! He loved his Doggie Gift Basket and we were thrilled because our sweetest baby was so happy. 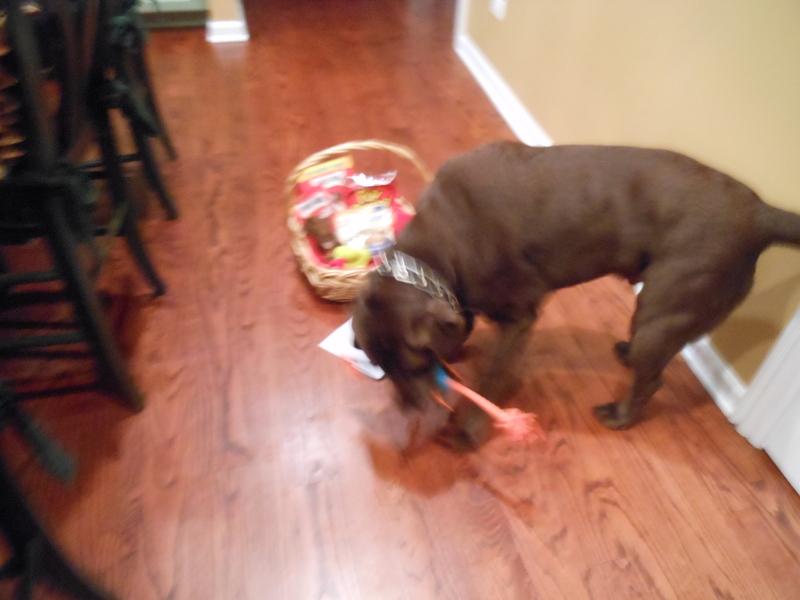 More birthday celebrations, more treats and toys, more blessed years with our beloved Wrigley……. All ideas and experiences shared here are my own. 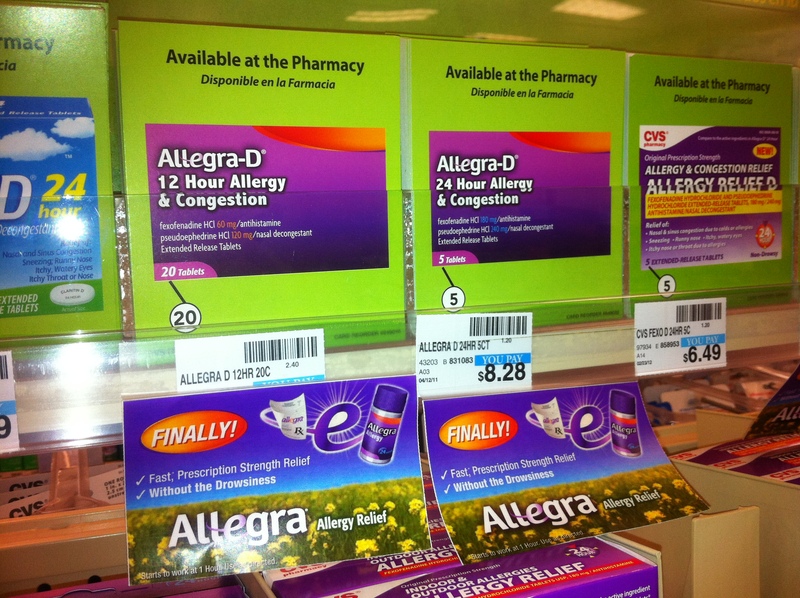 As the More is More Mom®, I’m all about….more celebrations! Because more of everything is always better, we love a good party. This week, Amanda turned sweet 16. We were all up and out the door for a family outing to the Department of Motor Vehicles; everyone but Wrigley. While Chuck, Nick and I sat, awaiting Amanda’s return from the behind the wheel driving test, Nick asked, “Will all four of us come with Wrigley when he gets his license?” Ha! This guy is already on a pretty long leash. When Wrigley is feeling deprived, he tends to counter surf. Just before Halloween I ran out, leaving Wrigley behind. I returned to find four packages of taffy apples on the floor. One he opened like a book, eating just about everything but the sticks. Out of another, he slit a half-round hole in the plastic and extricated just one taffy apple with the precision of a surgeon. There were nuts, sprinkles and sticky stuff smeared all over the floor. I texted Nick at school telling him what Wrigley had done, and he asked if I punished Wrigley. To which I replied, “No. I took a picture.” There’s no sense in teaching an old dog new tricks. It’s tough having a birthday right after Christmas (just ask Amanda), so I decided that I should do something a little special for Wrigley’s birthday this week. But what do you get for the pup that has everything? 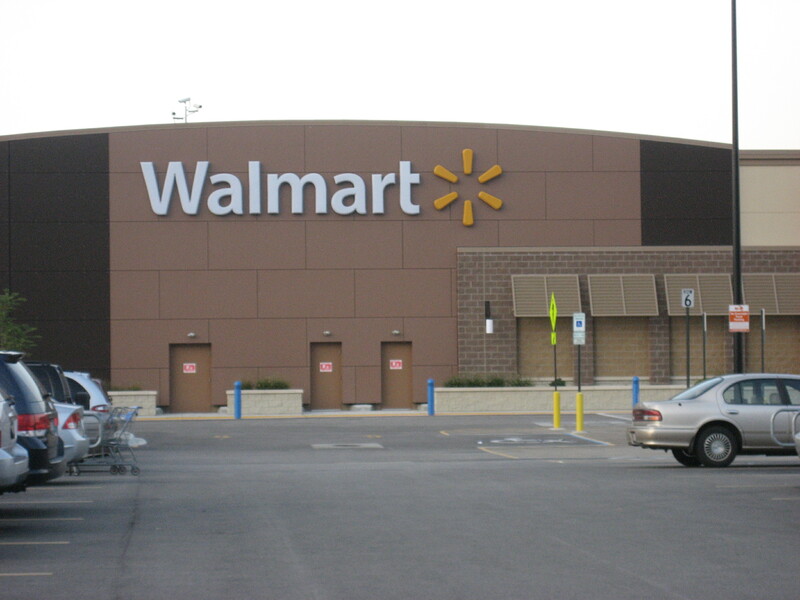 I headed over to Walmart to check out their Pet Care Department. We run through a lot of treats in our household (since we tend to reward bad behavior), so I like to keep a nice variety on hand. However, there were so many good choices, it was hard to decide. 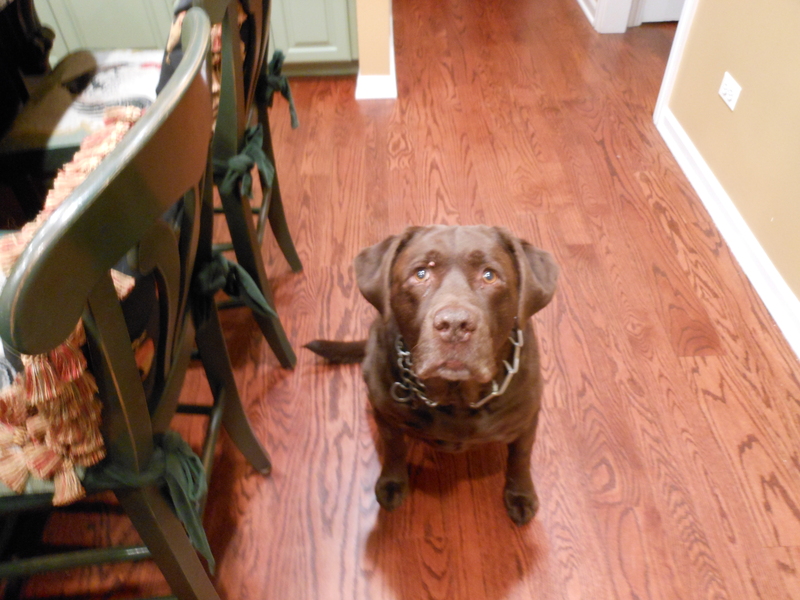 My first selection was easy; Milk Bone® Beef and Filet Bites because there was a Chocolate Labrador, just like Wrigley, on the package. After much deliberation, I grabbed a bag of Pup-Peroni® Combo Bites. When I spotted Milo’s Kitchen® Meatballs, I had to snag them. They’re one of Wrigley’s all-time favorites! After scouring the puppy toy department I made a few selections. 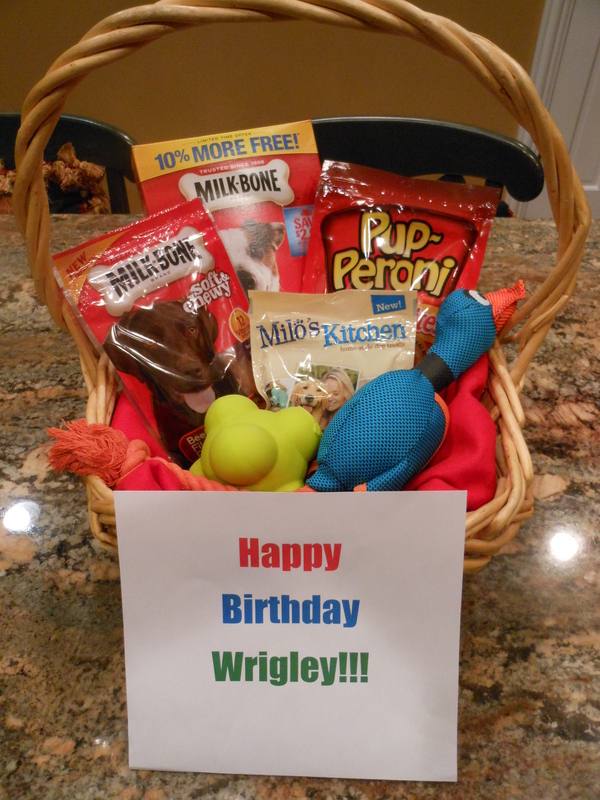 I think Wrigley’s going to have a fantastic birthday! 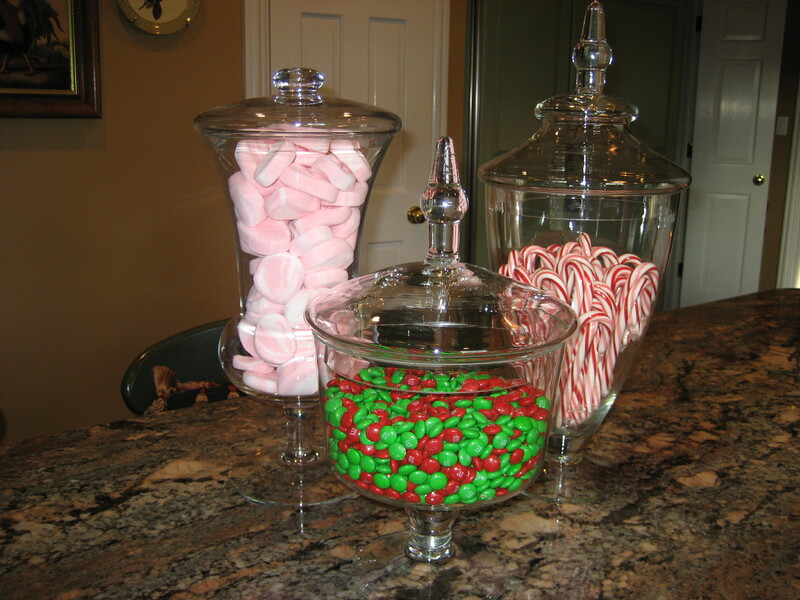 As the More is More Mom®, I’m all about…….more decorating for the holidays! Christmas truly is the most magical time of year. There is just something really special about family traditions, whether we are sipping hot chocolate, driving around, checking out our neighbors Christmas lights, making gingerbread houses with our dearest neighbor and friend, Mrs. Hobbs, picking out new ornaments, wrapping presents (when the kids were little, my mom and Nurse Terri would help me wrap while we sipped champagne) or enjoying a great big meal on Christmas Eve (last year we ordered out Chinese ~ just like in The Christmas Story ~ and it was fantastic!). 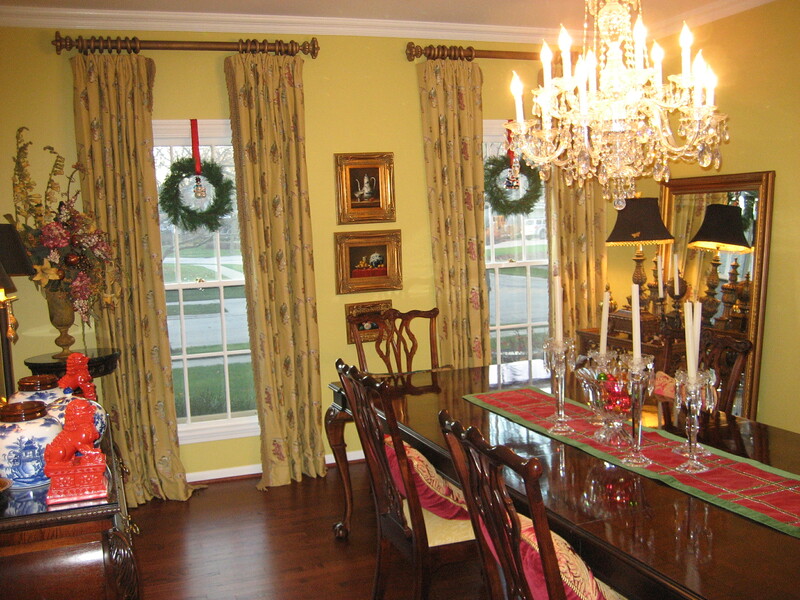 I love decorating for the holidays; after all, more of everything is always better! 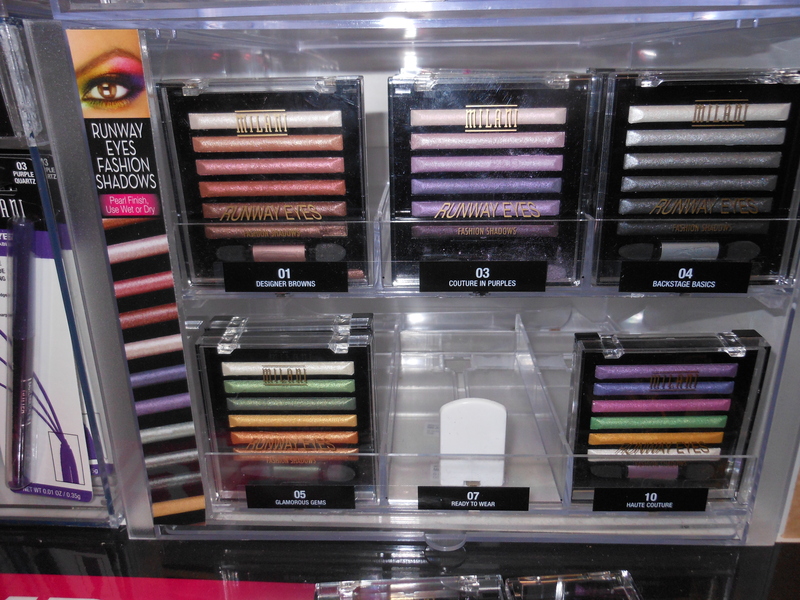 This year, I was pretty excited when I was invited to check out Kmart’s Holiday Department. Always up for a challenge, I was delighted with the opportunity to shop at Kmart with $150.00 to spend decorating for Christmas. The timing couldn’t have been more perfect. Holiday inspired décor, vignettes and tablescapes have been on my mind, as I was the featured speaker at an event at the Arlington Design Center in Arlington Heights, IL last week. 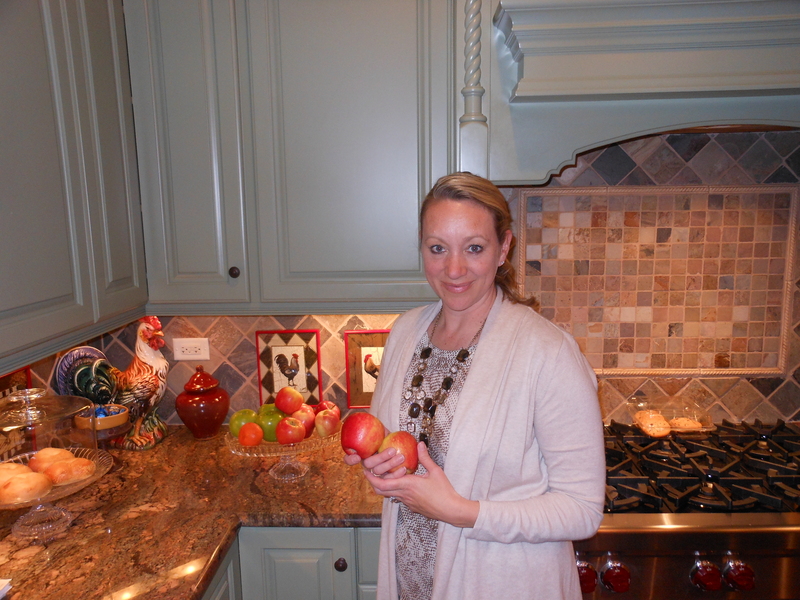 There I shared some of my professional Interior Design tips and inspirations for entertaining for the holidays. 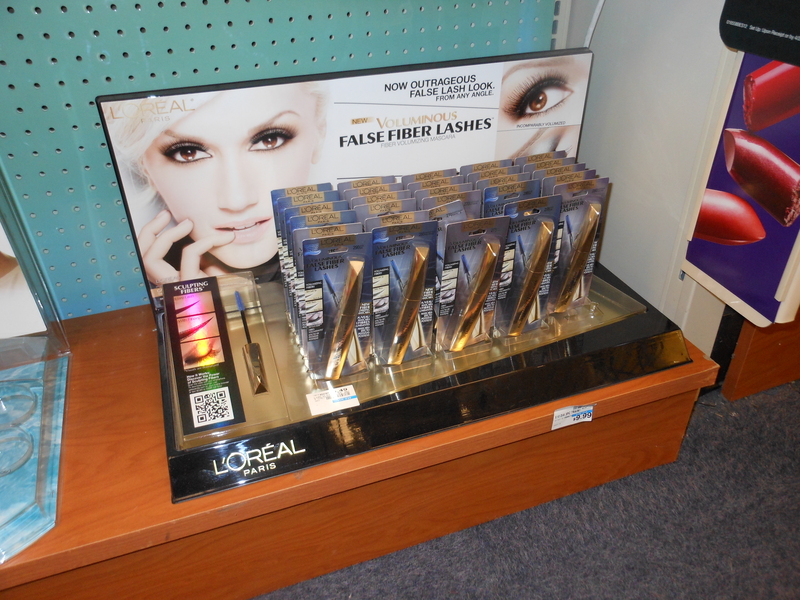 Cruising the aisles at Kmart was so much fun; inspiration was around every corner. With so many beautiful ornaments, sparkling and glittering accents, ribbons, greens and decorations it was hard to decide where to look first. As I made my way down the aisles, I came across a gorgeous collection of Christopher Radko ornaments at a completely unheard of price; $9.99 a piece! 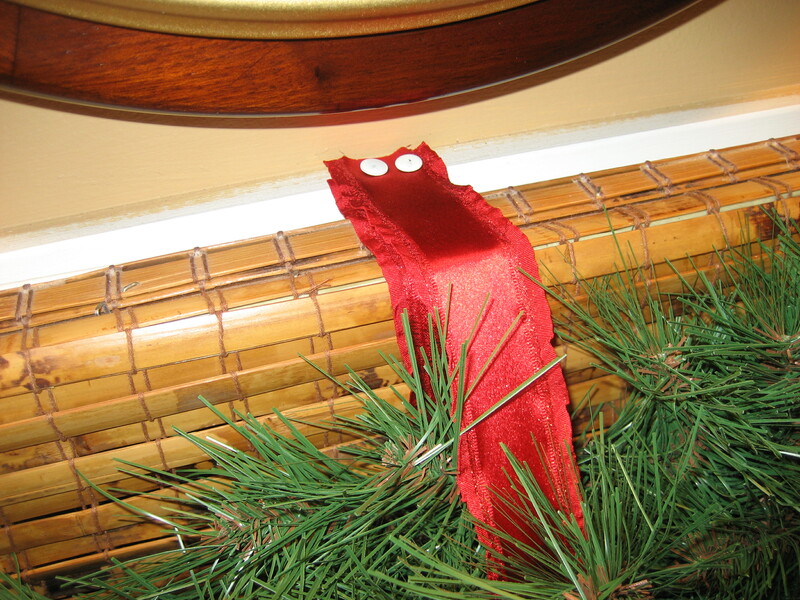 Sometimes, ornaments can get completely lost on a great big tree. 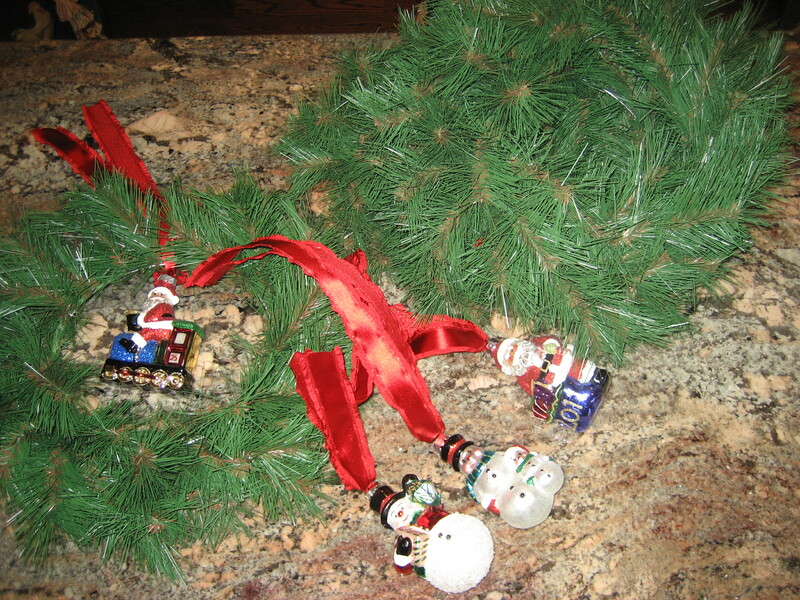 These ornaments were special, so I knew they needed to serve as a focal point. 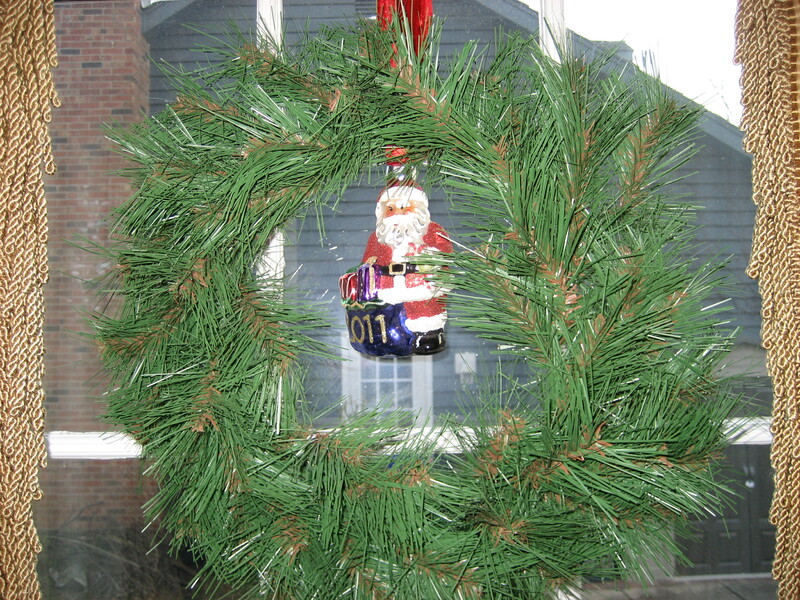 I selected my four favorites; two Santa’s and two Snowmen and I picked up four 12” artificial pine wreaths (I love real, but they tend to shed and get kind of tired). Kmart had a HUGE selection of beautiful ribbon to coordinate with any décor, though I chose to use a simple and classic red ribbon. I thought the ornaments would be a lovely and elegant touch strung through a strand of ribbon, nestled in a wreath of pine, hanging in my dining room and kitchen windows. The best part was that the whole look only took a few minutes. 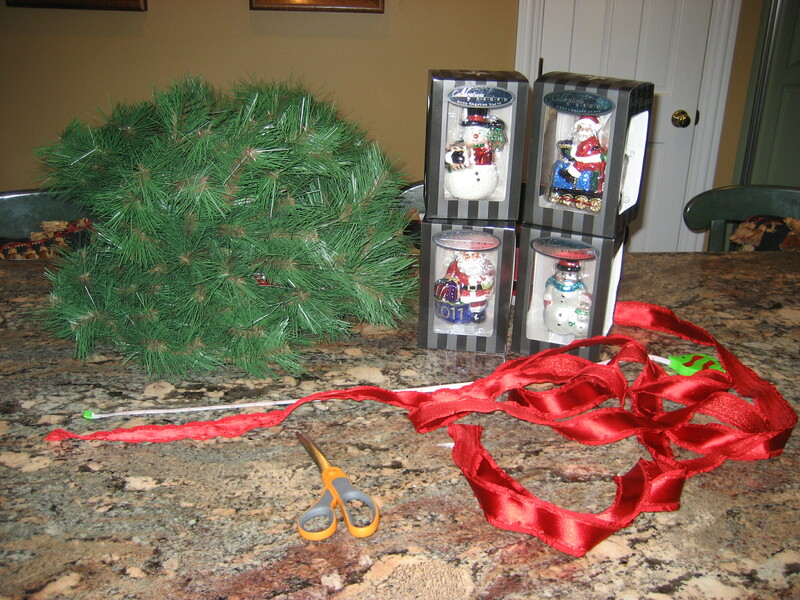 I measured how far down I wanted the wreaths to hang (14”), cut a piece of ribbon (28”), threaded the ornament through the ribbon, nestled the ornaments and ribbon into the top of the wreath, then, with push pins, I secured the two ends of the ribbon into the window casing, and voila…..I had a tasteful and elegant focal point to my windows. The Christopher Radko ornaments and wreaths took up a significant part of my budget (though they were totally worth it!). I still wanted to add a few festive touches, so I had to get creative. 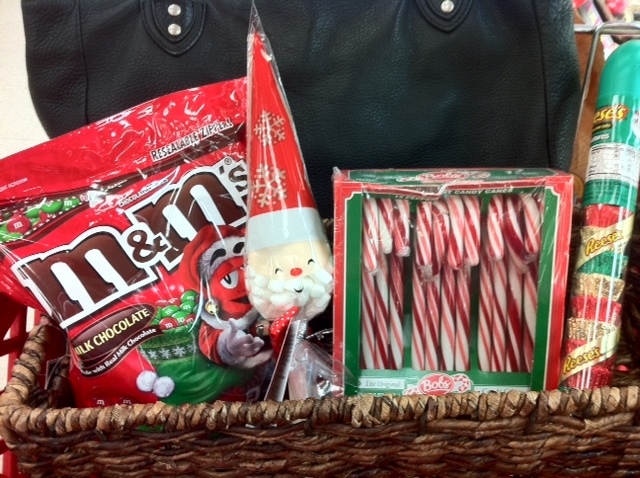 Candy confections, like visions of sugar plums, danced in my head, so I snagged a few bags of Holiday M n M’s, peppermint marshmallows and candy canes. 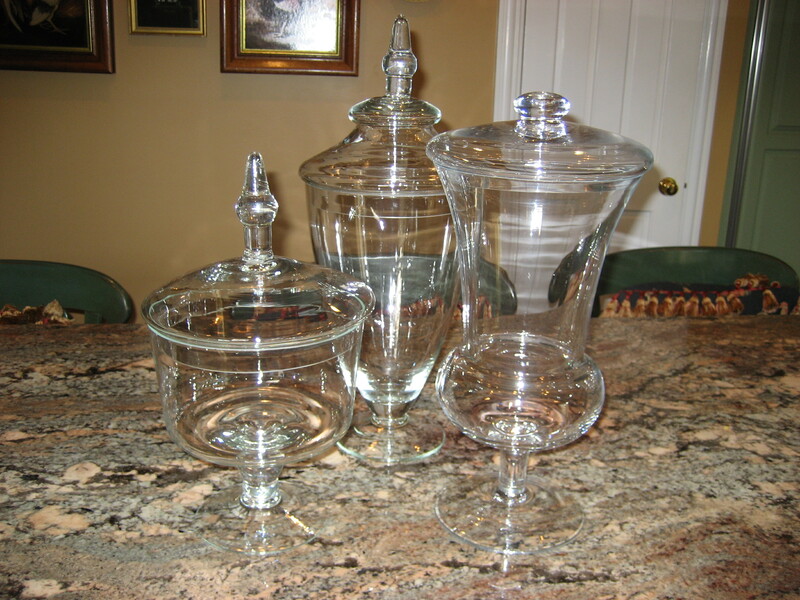 One of my most favorite home décor staples are my apothecary jars. They always look great filled with seasonal treasures. However, to achieve this effect, you don’t need apothecary jars, any clear cylinders will work. I simply filled the jars with candy and placed them on my island. They are cheerful and whimsical, which is something holiday decorating should be. 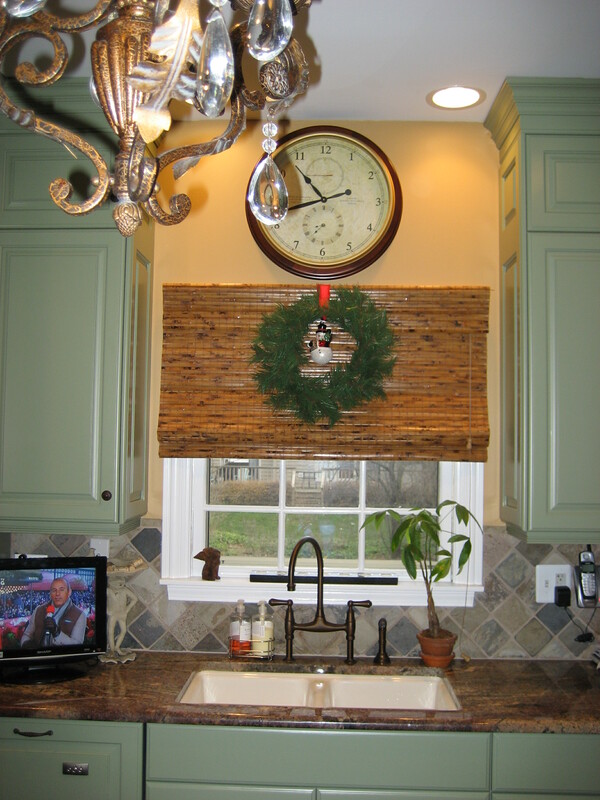 Decorating for Christmas doesn’t have to scream Santa and his reindeer. 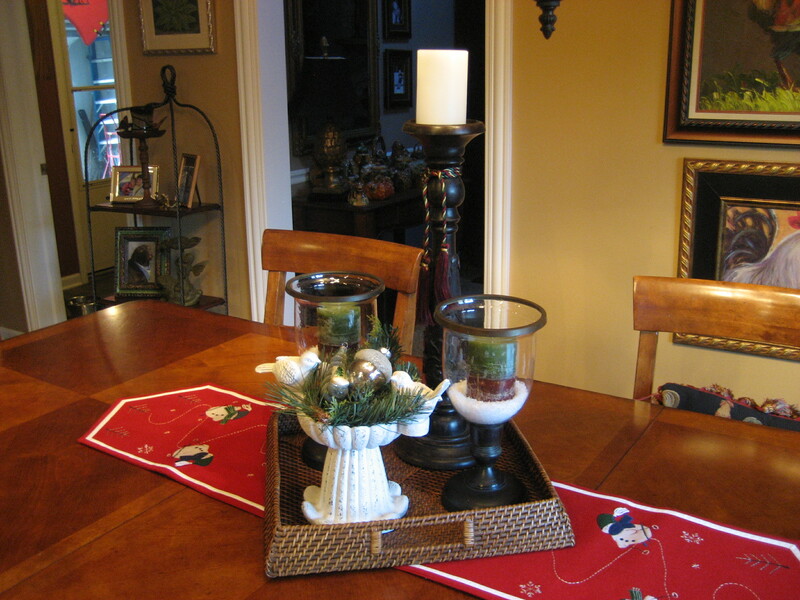 I thought I would create a little vignette for my kitchen table. 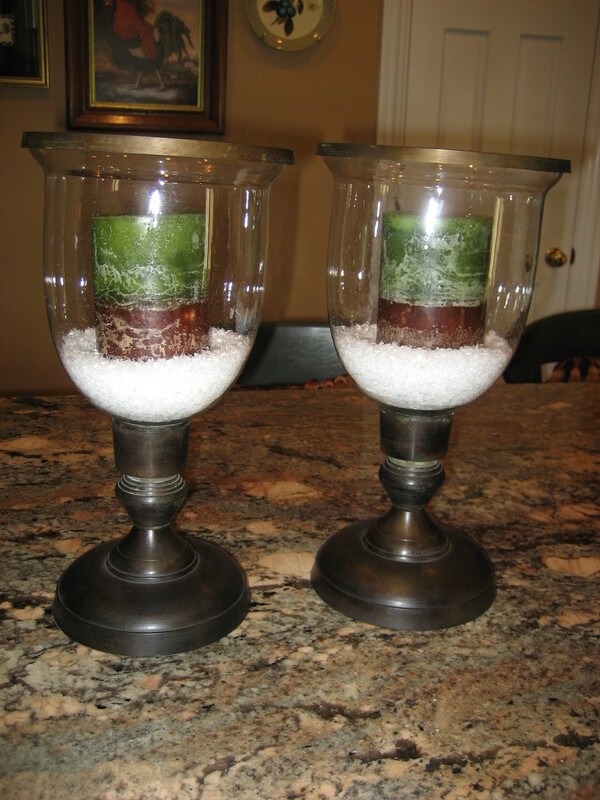 To start, I took two basic hurricanes that I had in my personal inventory (in fact, for my #KmartHalloween #50ftParty I had them filled with candy corn! 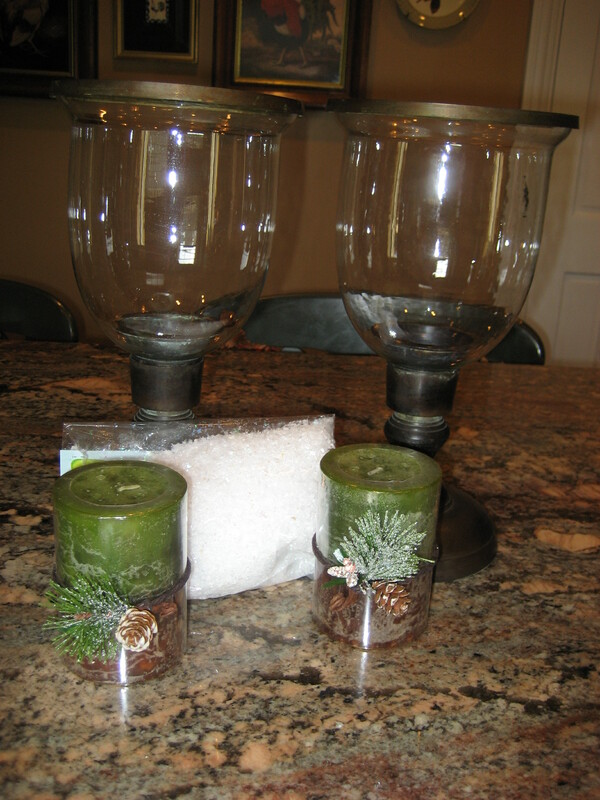 ), filled them with faux snow and chose two fabulous, pine scented candles to place inside. 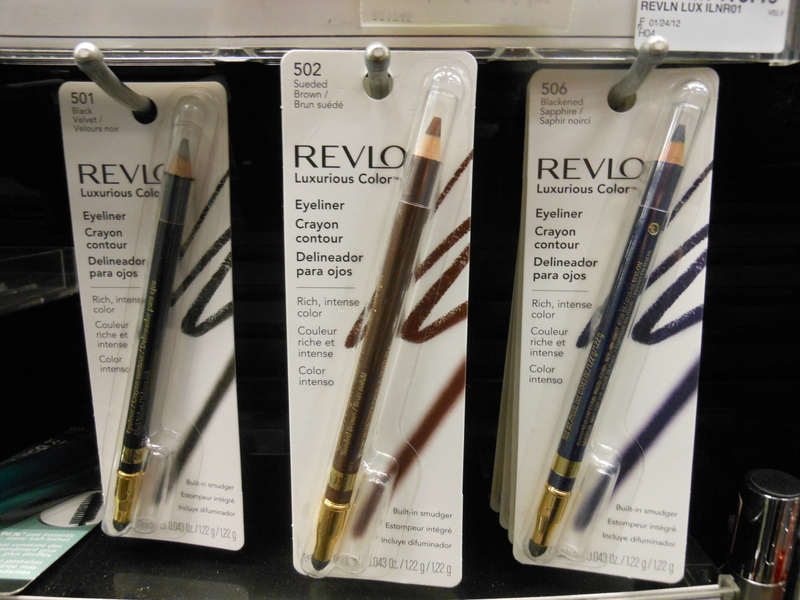 These will absolutely last throughout the winter season to bring a little sparkle to the long cold months ahead. With a few dollars left to spend, I decided to soften things up a bit and bring an organic quality to the table. I have a darling birdbath, but you can do this with a shallow footed bowl. I simply took a stem of artificial pine branches, removing the wire pick with my small wire cutters, and created a little nest for my birdbath. 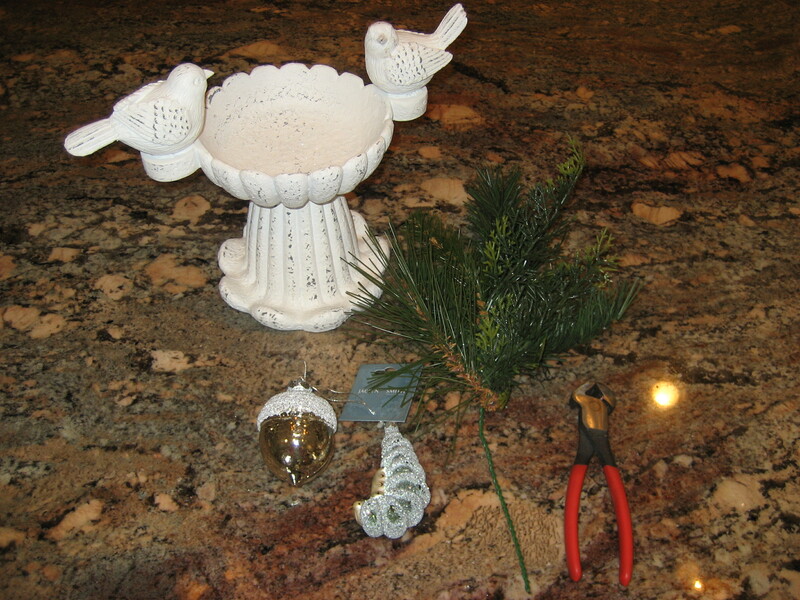 I then placed two glass ornaments inside; a caterpillar (because I adore bugs!) and an acorn. 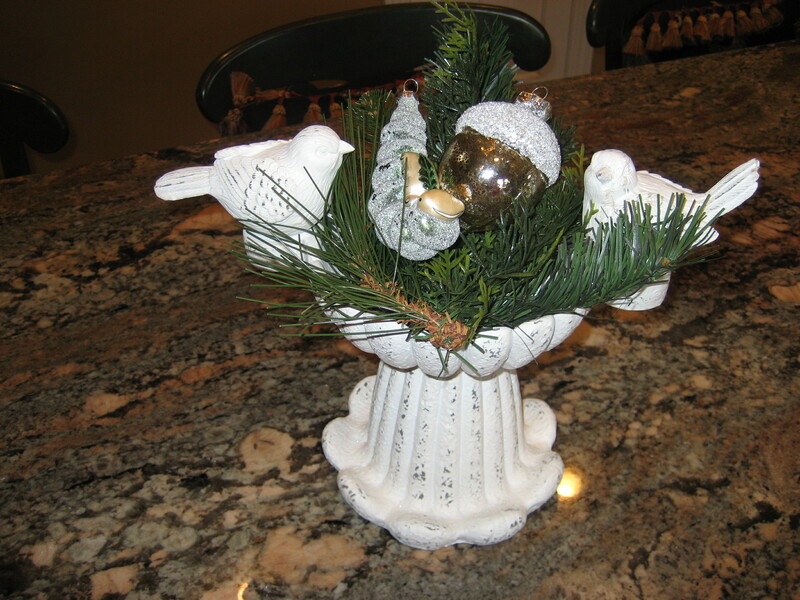 The ornaments were from the Jaclyn Smith holiday collection. It is too cute for words! 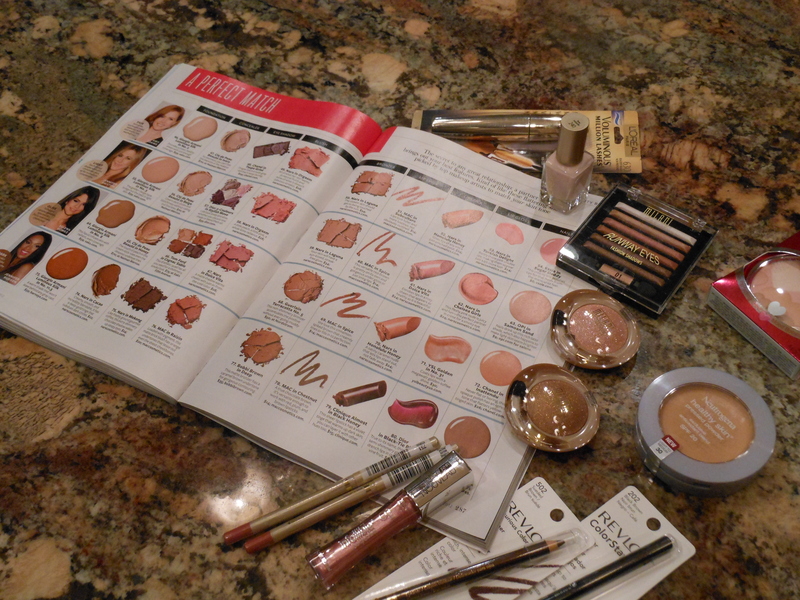 Rather than place these items at random on my table, I chose to give them more importance by corralling them on a tray. I also added one tall pillar candle holder to give my arrangement a little more height and visual interest. I am thrilled with the elegant, festive touches that I have been able to add to my holiday décor…..all thanks to my visit to Kmart! More whimsy, more Christmas celebrations, more traditions, more festive holiday décor…. 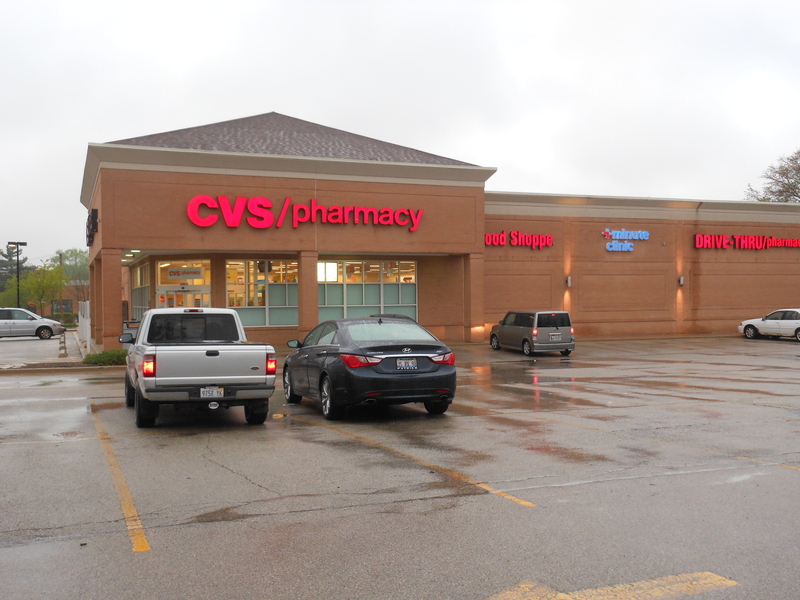 This shop has been compensated as part of a social shopper insights study for Collective Bias #CBias. All ideas, opinions and experiences are my own. As the More is More Mom®, I’m all about…..more spreading the word; sending CHEER and ThanksGIVING to our nation’s military families! 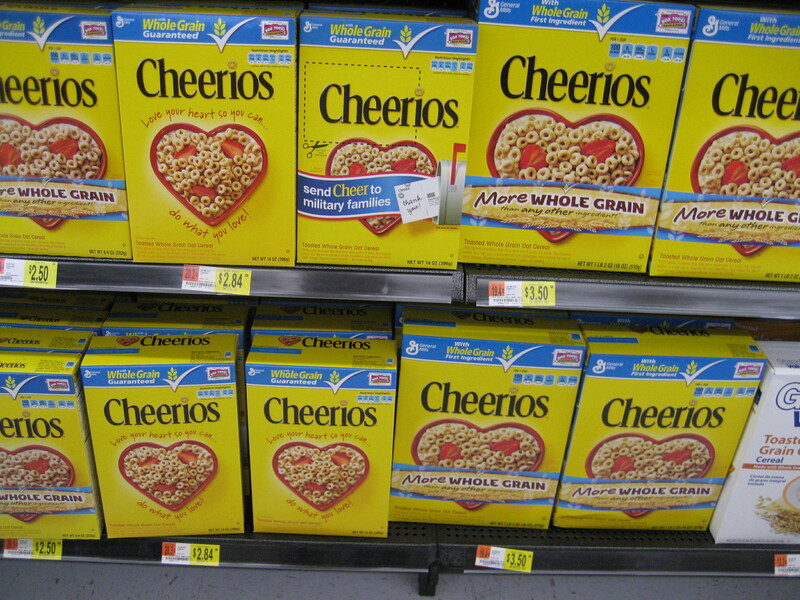 Last week, my mom and I headed over to Walmart to check out the General Mills/Cheerios Send Cheer campaign. The whole idea is really pretty cool. 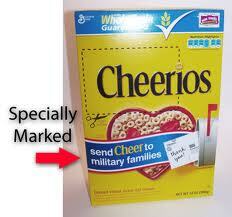 Simply purchase a box of Cheerio’s, cut out the postcard, outlined on the front of the box, and share your thoughts and warm wishes of ThanksGIVING with a military family. While we are celebrating Thanksgiving with our own family and friends, this week is the perfect opportunity to share our gratitude with the military families that make such personal sacrifices for our country. The rest is easy. Simply put a stamp on the postcard, drop it in the mail and the USO does the rest by forwarding your message to a military family. 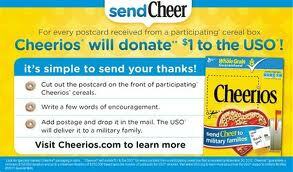 The best part is that for every postcard the USO receives, General Mills/Cheerio’s will donate $1 to the USO! 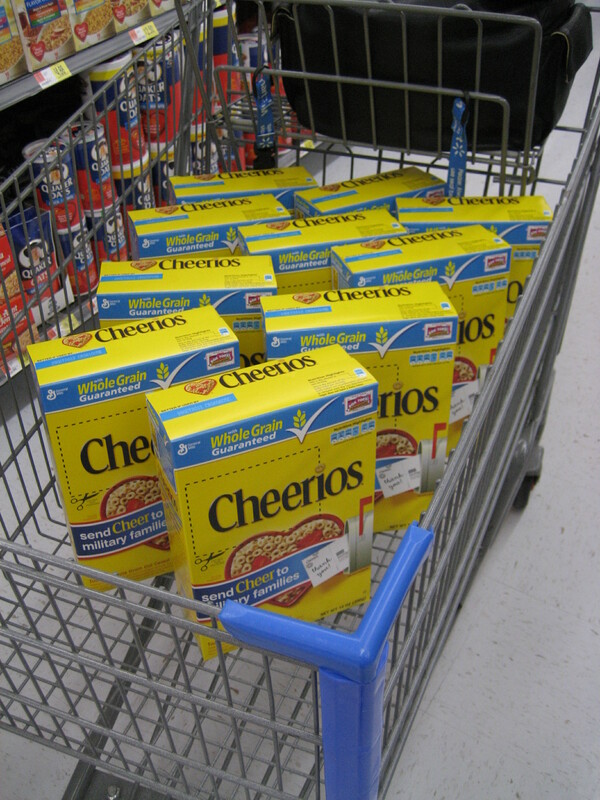 While we were at Walmart, we bought 10 boxes of Cheerio’s. Why should we be the only ones to feel good? I thought it would be great fun to spread the word and share this fantastic opportunity with our own family and friends this weekend at my nephew’s birthday party. 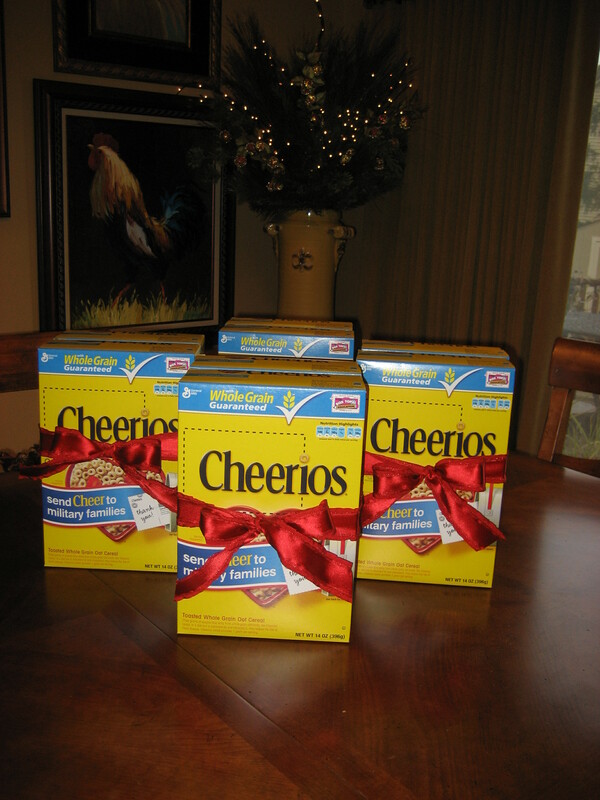 Rather than just hand over the box of Cheerio’s, I thought it would be so much more festive if I tied a great big bow around each box. I wanted everyone to really see what a special moment this was; a chance to share with another family how thankful we are for their personal sacrifices and their dedication to keeping our country safe. This weekend, while Amanda and I were running our errands, was the perfect opportunity to pay-it-forward. 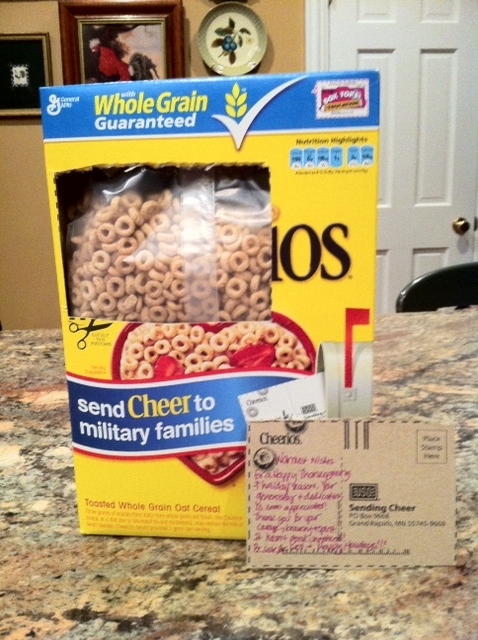 We popped in on some friends to bring them a few boxes of Cheerio’s to spread some ThanksGIVING Cheer. 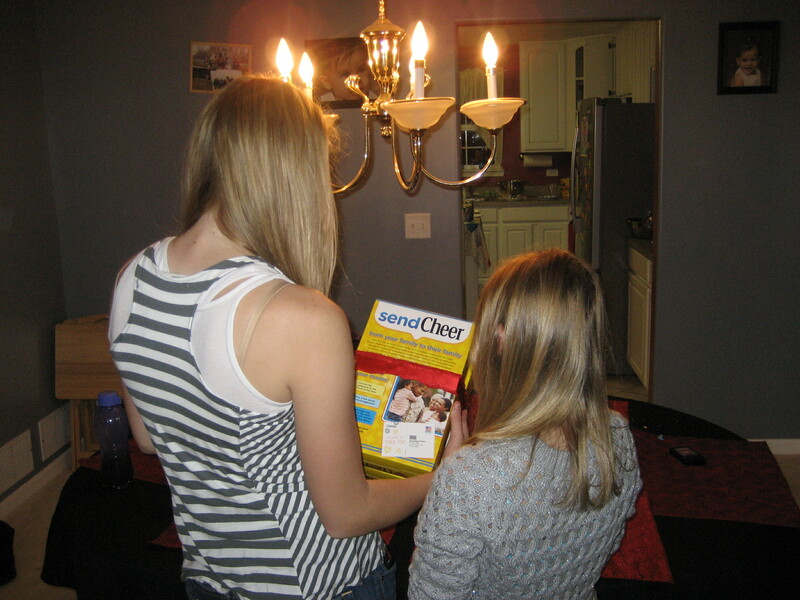 Here, Amanda is explaining to her little cousin how General Mills/Cheerio’s is working with the USO to spread holiday cheer! Expressing our gratitude doesn’t have to stop at a postcard! 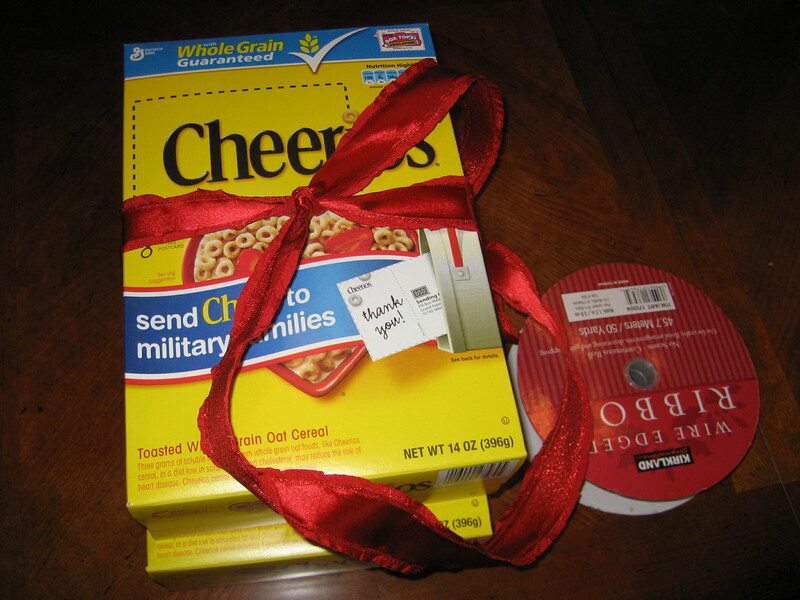 At this time of ThanksGIVING, why not send a care package to a soldier that is deployed and away from their family and the comforts of home? What are the little things that remind you of the holidays with your family? Chuck, Amanda and I sat down to really think about what makes us so thankful. We are grateful to the military families who keep the home fires burning for their loved ones. What a sacrifice to be without your son or daughter, brother or sister, husband or wife, mother of father. There are all of those moments that we share as a family that we take for granted; eating dinner together, looking over our children’s homework, cheering the kids on at their favorite activities, driving them all over creation, witnessing family milestones. These amazing military families and soldiers sacrifice these precious moments for the sake of serving our country, keeping us safe from harm and preserving our freedom. I don’t actually think there is nearly enough room on that little postcard to express our gratitude and warm wishes for a happy holiday and the safe return of their loved ones……but it’s a start. This post has been compensated as part of a sponsored charitable opportunity for Collective Bias http://collectivebias.com All thoughts, experiences and opinions are my own.